We have been working with The Coffee House since 2003 and are pleased to have recently designed their outdoor seating partitions to compliment the recent rebrand. We have also designed some more window graphics and signage to promote their amazing take-away coffee and cheap coffee refills. The Coffee House also serves heavenly food and caters for people with food intolerances by offering delicious dairy and wheat-free alternatives. 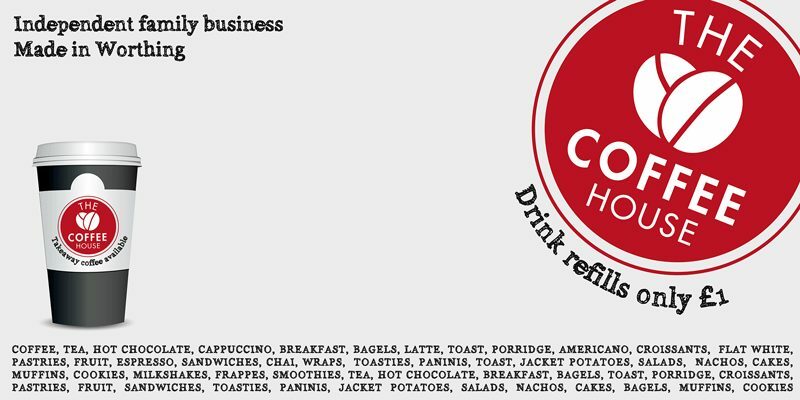 The Coffee House has been a successful independent family business brand since 2003. It has stood the test of time and owes its success to friendly service, great food and understanding customer needs. Much of its business is from repeat customers which are the best kind of customers to have, although since the rebrand and shop refit last year, our client has noticed a significant increase in trade. If you haven’t yet visited The Coffee House, it is in Liverpool Road, opposite T K Maxx in Worthing. 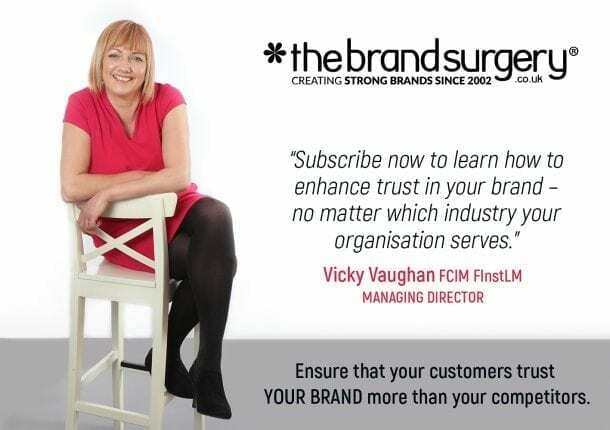 If you would like advice on how to keep your establish business exciting, give The Brand Surgery, No 1 design and marketing agency in Worthing, a call on 01903 824229 or email vicky@thebrandsurgery.co.uk. We are experts in restaurant branding and marketing.